Established in 1943, Qualfab is a fabricating engineers specialising in the oil and chemical industry. Our major products currently are components for refineries of the world with the emphasis on FCCU. We have vast amounts of experience in working for all the major process licensers and engineering houses such as Exxon, Stone & Webster, UOP, M.W.Kellogg, Foster Wheeler, Raytheon, Lurgi, Technip, Fluor Daniel Etc. 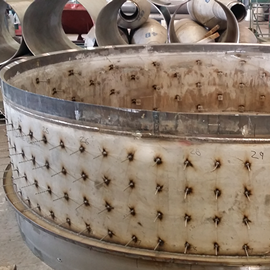 If you need it for a re-vamp or a new project we can fabricate it. Our close tie in with the Cyclone Design specialists Van Tongeren International gives us the unique opportunity to supply complete packages of FCCU Cyclone systems. 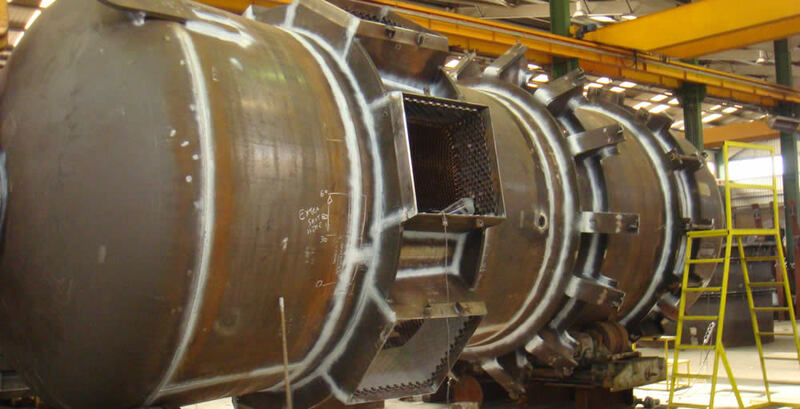 It also gives you the customer confidence in choosing Van Tongeren designed cyclones, knowing that they will be fabricated by a dedicated facility with nearly thirty years, and thousands of cyclones, experience behind them. 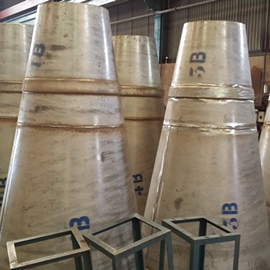 Our ISO 9001 accreditation, not only covers the fabrication, but also installation of Refractory Lining, another unique reason to approach us. 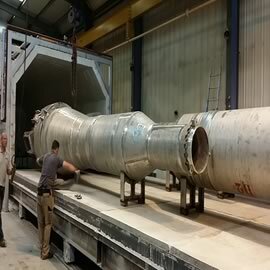 We have two workshops in the U.K. giving us the capacity and flexibility to manufacture equipment of all sizes from 1mm thick vending tanks up to 26 tonnes of chemical reaction tower. We, at Qualfab, are very aware that tight schedules and unusual conditions require a flexible and enthusiastic approach combined with a wealth of experience. This with the quality that you expect from us gives us the edge. Talk to us about your requirements, you will not be disappointed. 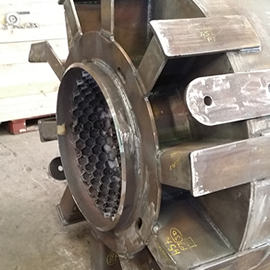 Apart from FCCU, we are also keen to quote you on our other products, such as vessels and heat exchangers, please view our product list.